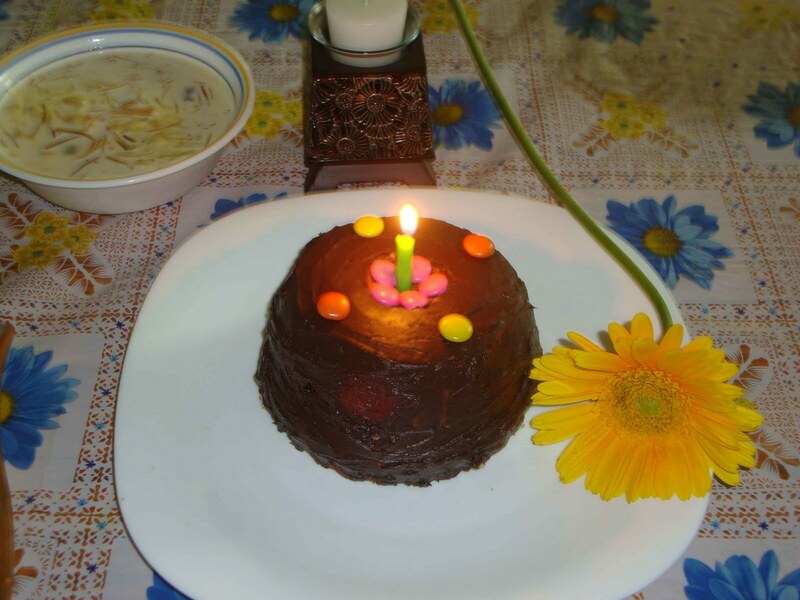 Till the time I settle down , here is the picture of the birthday cake that I baked for my husband's birthday that is to be celebrated today. Hope you like this simply made cake as I had practically no time either to make a special cake or making it specially decorated. a very happy birth day to your hubby. have a blast. lovely cake ...moist and well decorated. Happy B'day to your Hubby,and hope u had a wonderful trip too..
Nice to know you had great time in the beach. Lovely place.right! Belated birthday wishes too. Admire the way you expressed your love by baking a cake for him. I am sure he is very lucky to get you dear. Very nice cake and lovely presentation . Cake looks simply amazing dear B'day wish to ur hubby...Looks like you had a nice trip. Shared some awards with you..Do collect from my blog. Belated Bday wishes to ur husband! !Cake looks simple and nice.. Happy birth day wishes to your hubby. Cake looks really good. Nice to visit those places. Heartiest B'day wishes for Sudeep da :-) hope u people had gr8 time . 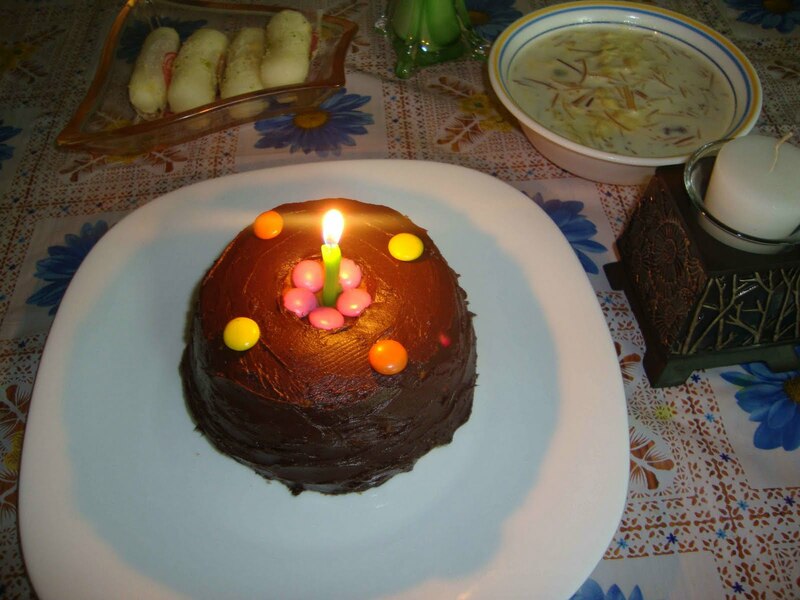 must be barbequed & Grilled;) ... bt the cake brings back the bday essence :-). Belated B'day wishes to your hubby Deepa. Hope you all a great vacation. Happy birhtday to your dear hubby..
to hell with Indian summer when you are with your near and dear ones...tai na? Simple is best. The cake does look yummy and all the dishes around it as well. Happy Birthday to your husband. Wishing your hubby avery Happy Birthday.Good to see you back blogging.Cake looks awesome. I will add your awards that you so lovingly gifted in the same award post Sorry I must have missed that post.Thankyou so much. I have been to both the places and they are great vacation points.. the cake looks slurrpy..
Wishes to ur Hubby! And cake looks simple but neat! I would love to hav the recipe! Happy birthday to your husband! What a delicious looking cake.